In honor of Memorial Day, I wanted to share some of my favorite war movies. But there’s a catch…they all star Van Johnson. It’s no denying that Van Johnson was one of the most sought-after actors on the MGM lot during World War II. Big names like James Stewart, Clark Gable and Mickey Rooney were overseas fighting the war. But Van Johnson wasn’t able to get in on the action. A car accident during the filming of “A Guy Named Joe” left him with a metal plate in his head which omitted him from going overseas to fight. I do like other war movies besides ones that star Van Johnson. My undying love for Van isn’t the reason I’m dedicating this post to him, but because the films that Van made give a wide variety of the different aspects of war. A Guy Named Joe (1943): The infamous movie that made Mr. Johnson a star and oddly paired him as Irene Dunne’s love interest. Bomber Pilot Pete, Spencer Tracey, dies on a mission and becomes the guardian angel for a young pilot named Ted. 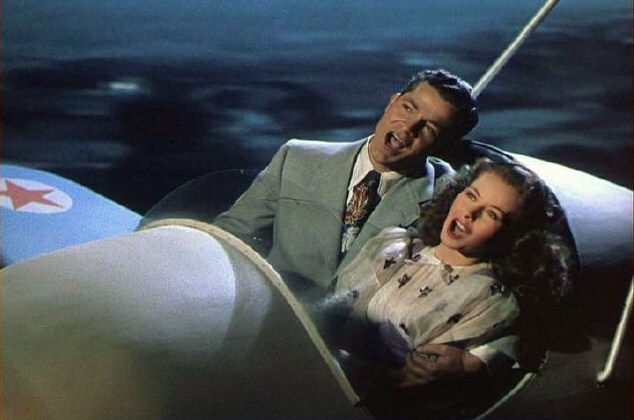 Pete helps Ted fly difficult missions and gives him his blessing as Ted starts to romance Pete’s old girlfriend Dorinda-played by Irene Dunne. Not one character is named Joe in this movie. The title comes from American soldiers nicknamed “Joe.” Filming was halted when Van had his car accident. It took three months until he could return but Spencer Tracey insisted that they keep him in the film. To Review: It’s a good movie and you get a glimpse of Esther Williams in one of her first roles (not swimming). I will say, Spencer Tracey does ALOT of talking. Not a bad thing, it can just get tiring. Thirty Seconds Over Tokyo (1944): The true story about Dolittle’s raid on Tokyo after the attack on Pearl Harbor. 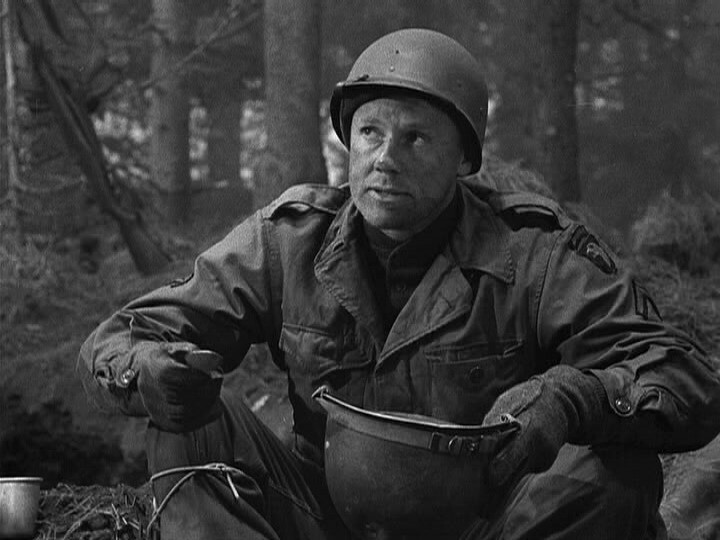 The story follows Van Johnson playing real-life soldier Ted Lawson. Lawson and the rest of the men, including actors Robert Walker, Don DeFore and young Robert Mitchum, train for the mission and then drop bombs on Tokyo. 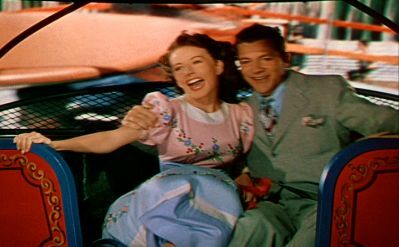 There are several scenes in the movie of Lawson marrying his wife Ellen, played by Phyllis Thaxter, their last times together and him remembering her. This may seem cheesy sometimes with lines like Him: “How did you get to be so cute?” Her: “I had to be if I was going to get such a good lookin’ fella.” But you have to consider the context. In Lawson’s book, he said the only way he got through the war was thinking about his wife. To review: This is one of my favorite World War II movies. Very patriotic, interesting, exciting and Van Johnson. Dolittle’s troops also trained at Lake Murray which is about an hour and a half from my house. Battleground (1949): What can I say about my favorite war movie of all time? Van Johnson is a bit older and not just the fresh-faced innocent soldier. This time he’s a bit more cynical and has seen a lot more life as his character Holley. The innocent kid in this movie is played by Marshall Thompson. This is a star-studded film with actors like George Murphy, Ricardo Montalbon, John Hodiak and James Whitmore. The soldiers are fighting the Battle of the Bulge and dealing with heavy fog and lack of supplies. Since this film wasn’t made during the war, it isn’t as glitteringly patriotic. The soldiers are cynical, mockingly saying, “I found a home in the Army” and you watch the new recruits change from wide-eyed babes to hardened non-believers. To review: I’ve heard that this is one of the films that veterans consider the most accurate when it comes to World War 2 movies. It’s my favorite war movie as well as one of my favorite films. I don’t just like it for the lineup of attractive male stars but also the realism. The soldiers get downtrodden and tired. It’s exciting and nail-biting at times while other times make you want to cry. I think my favorite part is Leon Ames’ Christmas sermon about the “$64 question” if the men felt that the war was necessary or not. War Against Mrs. Hadley (1942): Van Johnson has a very small role, but never the less the film is great. The wealthy Mrs. Stella Hadley (Fay Bainter) thinks she is above the war and that everyone is making a fuss about nothing. The attack on Pearl Harbor ruined her birthday and her family has the nerve to volunteer to help with the war effort. The widow thinks her husband’s status as a newspaper publisher will keep her son away from the fighting and keep her daughter away from canteens. She thinks she can work her way out of blackouts and rationing with the help of her government friends in Washington. However, Mrs. Hadley finds that even money can’t get you a break in the war. 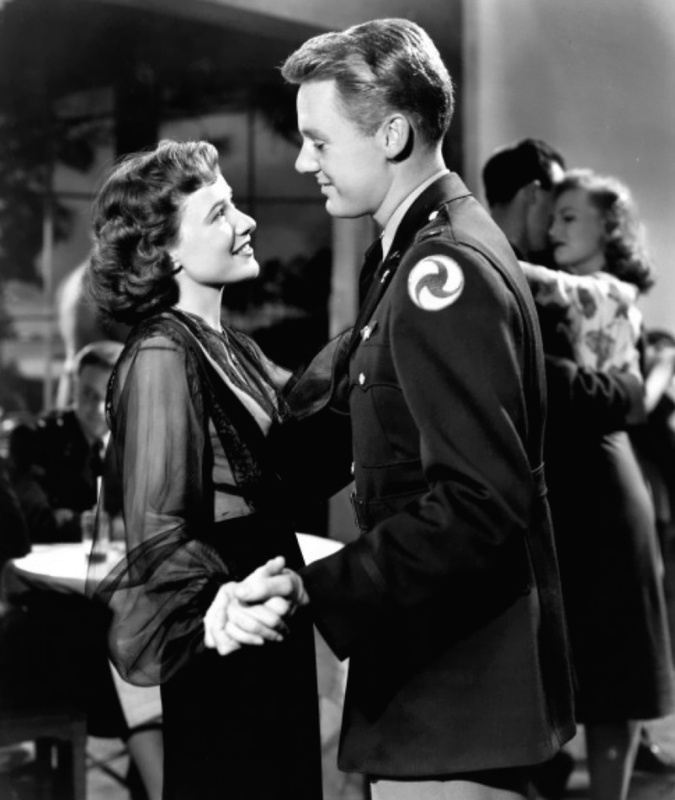 Van Johnson plays a young serviceman that Mrs. Hadley’s daughter, Pat (Jean Rogers), meets while volunteering at a canteen. They marry and mother disapproves. To review: I love this movie. Fay Bainter does a terrific job. Though Van has a small role, I think it illustrates how everyone wasn’t for the war when it started. I think it delivers a great message, even today. A country isn’t solely going to serve its people. You have to pitch in too. The Human Comedy (1943): This is another early Van Johnson film. 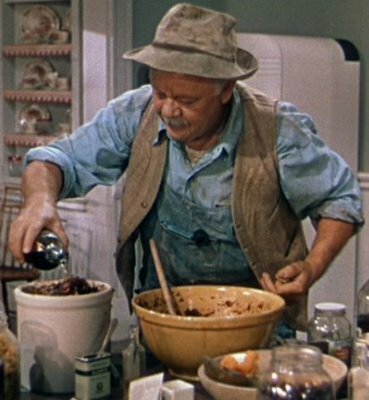 Mickey Rooney is really the star here. Fay Bainter (nice in this one) plays the mother of Mickey Rooney, Van Johnson, Butch Jenkins and Donna Reed. Her husband has recently died and Van is leaving to go fight in the war. The movie really shows how small-town life functioned during the war. Young Mickey Rooney helps old Frank Morgan run the telegraph office. 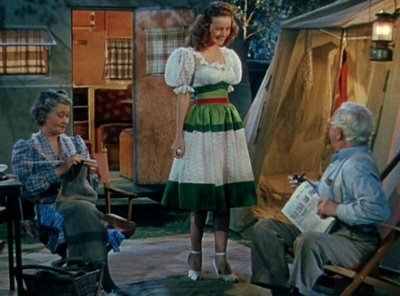 Donna Reed and her friends go to the movies with soldiers that may never come home from overseas. To review: It’s a really poignant view of small-town American life during the war. Sometimes it’s beautiful and other times tragic. War movies don’t just have to be about the Pacific and European theaters. Wars also affect people at home. This paints an excellent, innocent portrait of this. Who should Van choose? Gloria or June? Two Girls and a Sailor (1944): The plot is very simple. June Allyson and Gloria De Haven are the Deyo Sisters, daughters of vaudeville parents. When they grow up they start their own nightclub act and entertain soldiers in their home after the show. A mysterious stranger donates an old warehouse to the girls so they can start a top-notch canteen. Performers like Jose Iturbi, Xavier Cugat, Lena Horne and Harry James all come and perform at this club. 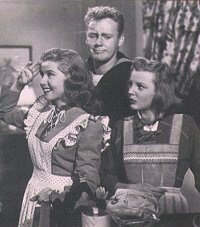 Van Johnson is the sailor torn between the two girls with soldier Tom Drake as his competition. The whole time the girls are trying to figure out who their mysterious donor is. To review: No one ever said every movie had to be as serious as “War and Peace.” This movie’s plot may be as light as a feather but it is so much fun. It’s actually one of my favorite movies. Lots of great musical performances and sweet moments. The movie shows how people wanted to entertain and help soldiers on leave and unselfishly let them into their homes. By no means are these the only great war movies out there, but it’s interesting to see how one actor’s films can span so many different aspects of the war. I hope everyone has a happy and safe Memorial Day and remember the real reason of the holiday, not just a free Monday off from work or school. Have fun and be safe.